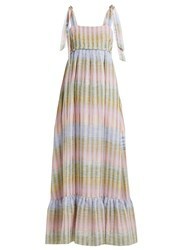 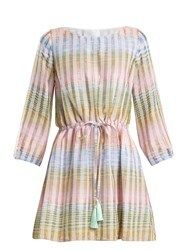 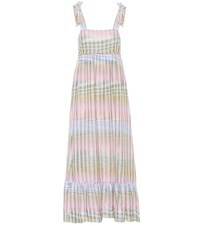 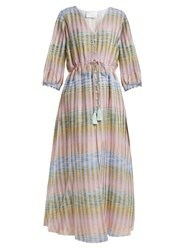 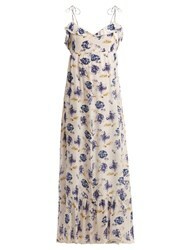 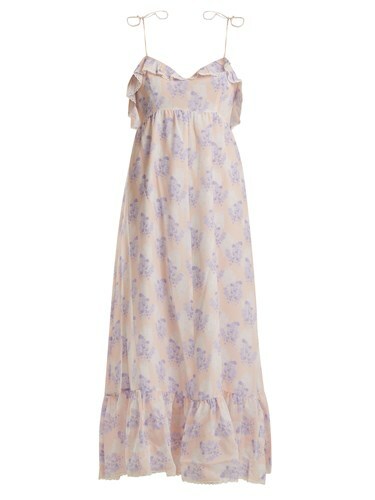 This Violet's Whisper peach-pink and lilac-purple maxi dress is a playfully feminine offering from Athena Procopiou. 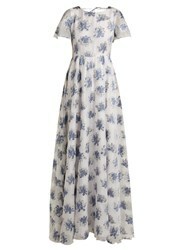 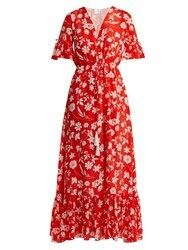 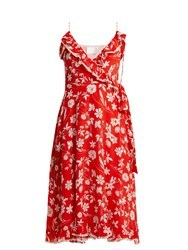 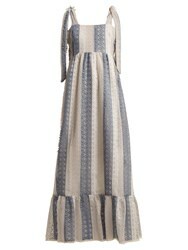 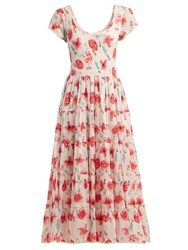 It's made from lightweight floral-print silk and features a ruffled sweetheart neckline trimmed a gathered waist and a tiered hemline. 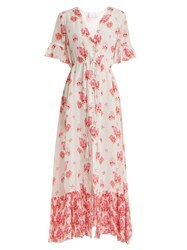 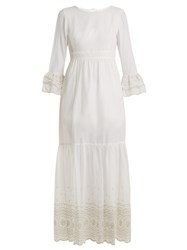 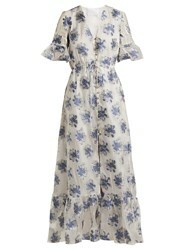 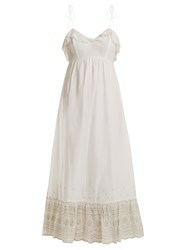 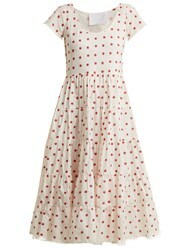 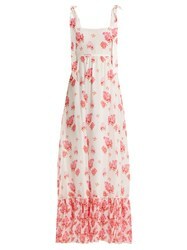 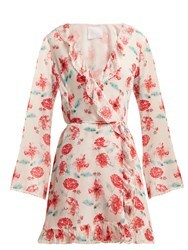 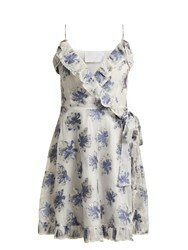 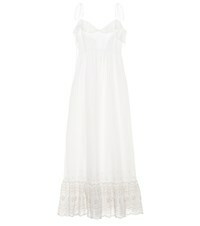 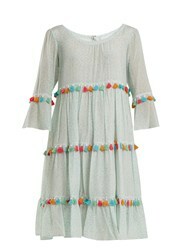 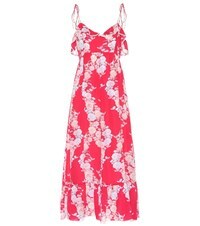 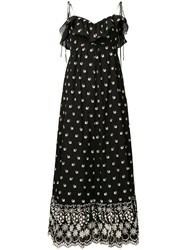 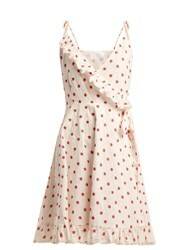 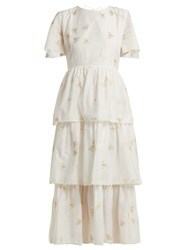 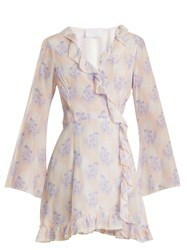 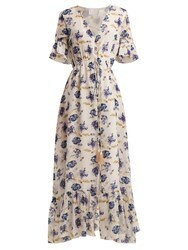 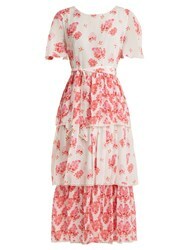 Pair it with suede sandals for a pretty garden party ensemble.